I started reading this after I had gotten 27% into The Calling (the second book in the trilogy) and realized I was reading the wrong book. I thought at first that the author had just dropped me right into the action and would give backstory as we went along (or do one of those "48 hours earlier" like they often do on a tv show). I finally decided to check the reading order and description and was glad I did. 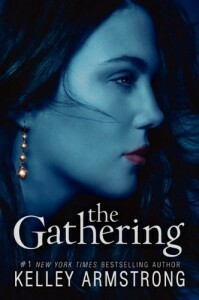 The Gathering was very fast-paced, and it follows the first trilogy (Darkest Powers) but doesn't have the same characters. I'm glad I already have the other books because The Gathering just sort of ends, not a major cliffhanger, but you know the author has not told the whole story yet.